If you're looking for the week's wearable tech news murmurs, blips and tidbits then you've come to the right place. And finally is where we mop up the news headlines of the last seven days, with no rumour or report left uncovered. There's bad news for UK gamers wanting in on the HTC Vive action. Following the Brexit mess, the GBP Sterling has taken a hammering and, as such, the Taiwanese company has seen fit to increase the price of the Vive from £689 to £759. Boo indeed. 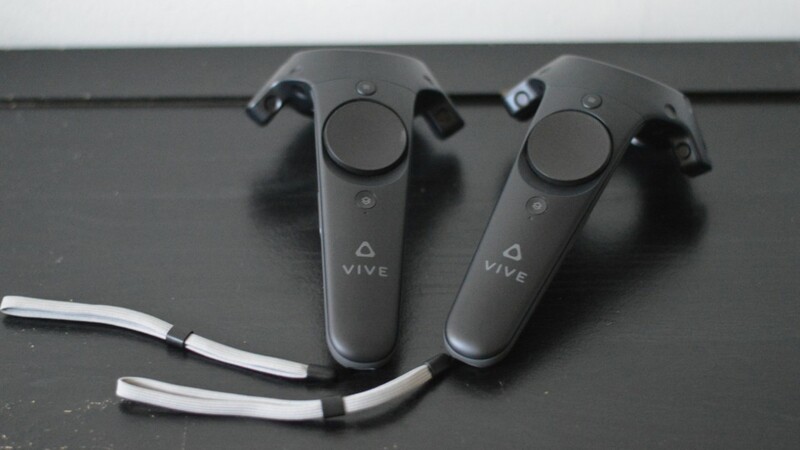 "HTC continuously monitors and adjusts pricing to ensure we are providing our customers with the best value possible," reads a statement on the HTC Vive blog. "Due to recent currency valuation changes and the current value of the GBP we are adjusting the price of the HTC Vive in the UK to £759 + P&P. The adjustment will come into effect on Monday 1st August." Looking for an alternative? Then check out our guide to the best VR headsets. Yet more news on the Samsung Gear S3 front with SamMobile reporting that a trademark for Samsung Gear S3 Frontier has been filed in Korea. The Samsung blog has also 'confirmed' that the Gear S3 will launch in September, will be round and will have a rotating bezel, much like the Gear S2. The final Frontier? We doubt it very much, Samsung is prolific when it comes to launching new wearables. Check out our guide when considering what Samsung Gear to buy. One of the biggest names in smart home automation, Nest, has landed on the Apple Watch with the Nest app now available on Cupertino's timepiece. Kind of. It's not a dedicated Apple Watch app but a mere extension to the current iOS offering. And while you can't view your Nest Cam action on your wrist, you can change the temperature on your Thermostat. The Nest Cam Outdoor is set to launch soon and the Alphabet-owned company has big plans on the app front to make your smart home even more seamless, so we're hoping this is just a starting point. It's a longish read over on Engadget, but one that's worth it, and it explains all the pinkish visualisations on the singer in the video above: Georgia Nott of the band Broods. Nott donned a Microsoft Band for her, er, band's latest video with the idea of capturing heart rate data and movement. "The goal is trying to communicate on another emotional level, not just through audio and facial expressions," Caleb Nott, Georgia's brother and the other half of Broods, explained. "There are all sorts of ways that emotion can translate into something else. If you can communicate your emotions through your temperature and heartbeat, that's a more sensual experience."